I qualified from Cardiff in 1997 and apart from my VT year have dedicated my career to Oral Surgery. Following the successful completion of the SpR post at Birmingham Dental Hospital I was admitted to the Surgical Dentistry Specialist List in 2004. Even at the start of my training I felt passionately that, for many patients, oral surgery could be delivered in a Primary Care setting. In 2005 I returned to South Wales and opened an Oral Surgery Practice. Since then, the practice has grown and we currently hold a PDS NHS contract, an NHS SLA contract as well as treating patients on a Private basis. 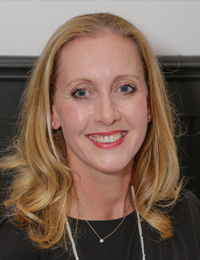 Most recently, I have successfully completed the Post Graduate Certificate in Medical Education and from September 2014 we have welcomed newly qualified dentists (DF1) to the practice as part of a two year training scheme. I am passionate about the delivery of high quality oral surgery service in Primary Care .